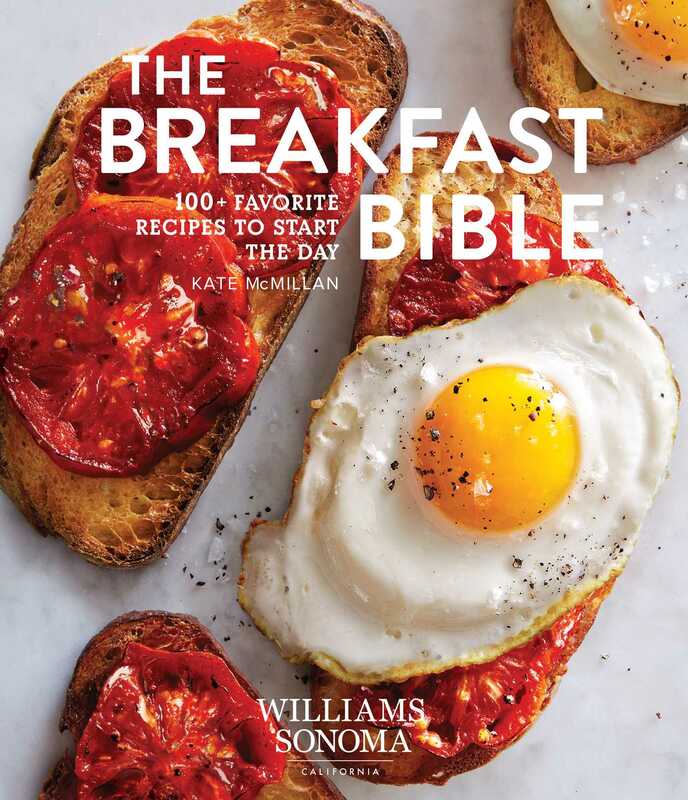 Featuring a comprehensive collection of classic and contemporary breakfast recipes, easy-to-customize options for morning favorites, simple tips and techniques, and gluten-free alternatives, The Breakfast Bible has everything you need to prepare the most important meal of the day. Whether you want to host a weekend brunch with a DIY Bloody Mary bar, treat someone to breakfast in bed with homemade waffles, or take something to go, there’s a for everyone in this diverse recipe collection. Additional recipes include: Orange Marmalade Bread and Butter Pudding, Raspberry Lemon Muffins, Almond Streusel, Egg-topped Asian Noodle Bowl, Mediterranean Strata, Honey Butter, Fingerling Potato, Green Onion, Bacon & Rosemary Frittata, Smoked Salmon, Crème Fraiche & Chive Scrambled Eggs, Classic Buttermilk Pancakes, Buckwheat Crepes, Banana, Almond Butter, Date & Cinnamon Protein Shake, Maple Pecan Coconut Granola, Breakfast Yogurt Parfaits and many more! In an ovenproof frying pan, cook the bacon over medium high heat, turning once, until crispy, about 7 minutes. Let drain on paper towels, then tear into bite-size pieces. Pour off all but 1 tbsp of the fat in the pan and return to medium-high heat. Add the olive oil and the potatoes. Season with salt and pepper and cook, stirring often, until the potatoes are fork-tender and golden around the edges, about 8 minutes. Add the green onions, garlic, rosemary, and cooked bacon. Cook, stirring occasionally, for 1 minute longer, and spread into an even layer. Stir the cheese into the egg mixture and add to the frying pan. Cook without stirring for 2 minutes. Transfer the pan to the oven and bake until the eggs are set and the frittata is golden brown, 10–12 minutes. Loosen the edges with a rubber spatula and carefully invert the frittata onto a platter. Cut into wedges and serve.